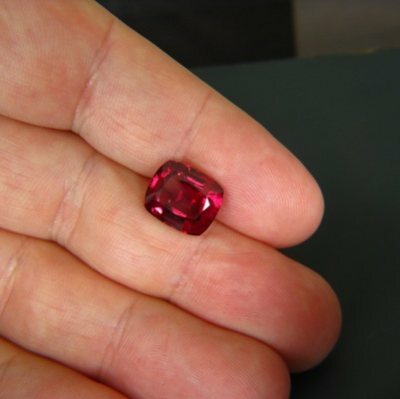 Comment: Full sized classic rhodolite garnet. 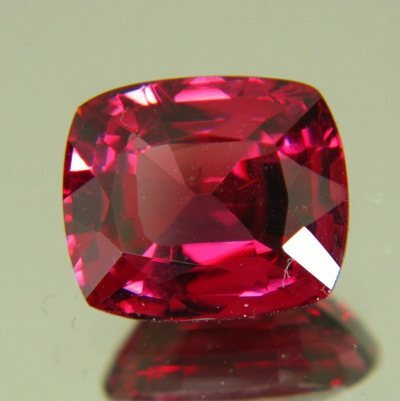 This mixture of almandine and pyrope is the rarest member of the red-garnet family. No brown. Pretty, huge and yet affordable. Individual local handcut. Never dark, never pale. No visible inclusions. Great stone for a posh ring. Giant face (12x10mm) but maintaining full color in its center.